Recently, I read the book, “It’s Not About the Coffee”, by Howard Behar. Howard Behar, worked as the senior executive at Starbucks, one of the largest and most successful coffee chains out there. In his book, Behar talks about the importance of putting the customers and the employees first. The book goes into detail about many different aspects of what it takes to run a successful company. Behar, gives many great pieces of advice in his book that are not only applicable to a company, but also things that we can apply to out own person life. 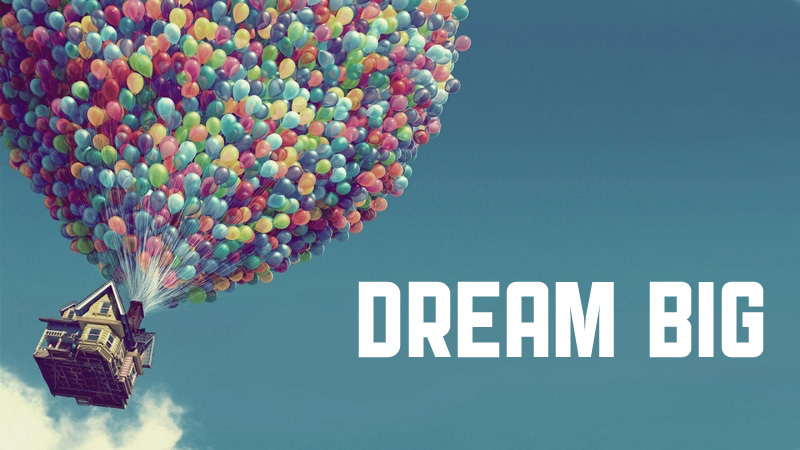 One of the concepts that Behar talks about in the book that stood out to me the most, was the idea of dreaming; but not just dreaming, dreaming big. We live in a world that encourages us to dream but only to a certain point. We are encouraged to dream the dreams that are actually reachable. Dreams that fit inside of the box, because dreams that are outside of the box are too big and will never be possible to accomplish. Behar, on the other hand, says otherwise. He encourages dreaming big, and having “big harry audacious goals.” Following our dream however, does not come easy. Once we set our dream or goal, we have to stay true to perusing it. Yes, our big dream will never happen unless we do something about it. We can’t just sit back and wait for our dreams to come true, we have to get out into the world and act on our dream; we have to take steps that are going to get us to where we want to go.You cannot experience potential without action. One of the biggest challenges there is, is letting faith replace fear. We can’t just have a dream and go on to pursue it, we have to have faith in our dream. Follow your dreams, and encourage others to follow their dreams. Because a world full of dreamers can lead to something incredible.